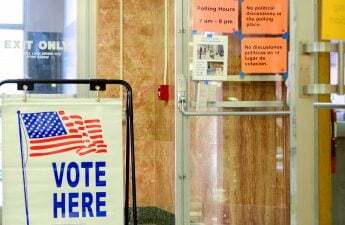 Voters throughout the state cast their ballot in Tuesday’s partisan primary races, setting up key match-ups for the November general election. 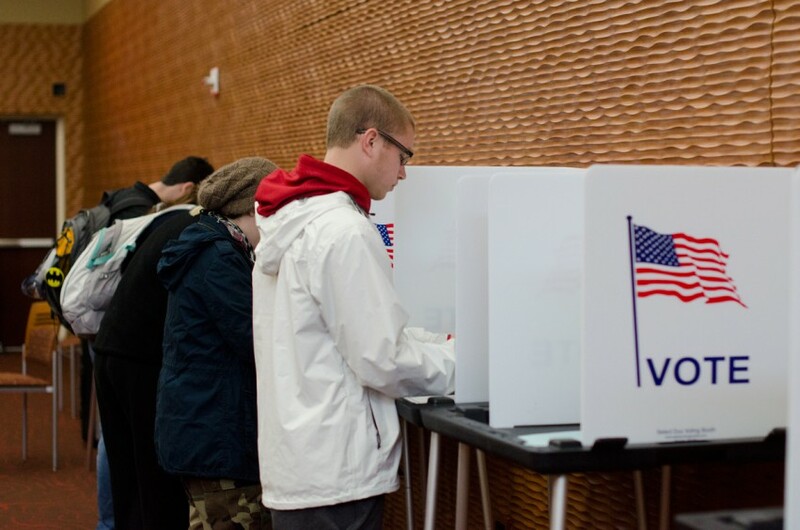 Tuesday saw two races receive national attention — the Democratic Party gubernatorial primary and the Republican U.S. Senate primary. In the gubernatorial race, state Education Superintendent Tony Evers won with over 40 percent of the vote to face incumbent Republican Gov. Scott Walker in the fall. And in the Senate race, state Sen. Leah Vukmir, R-Brookfield, took victory with just under 50 percent of the vote. She now faces incumbent U.S. Sen. Tammy Baldwin in the general election. 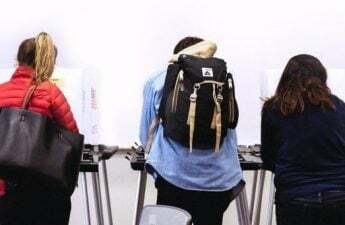 Evers beat out seven other Democrats on the ballot, including firefighter and union head Mahlon Mitchell, former state Rep. Kelda Roys, D-Madison and state Sen. Kathleen Vinehout, D-Alma. Mitchell, Roys and Vinehout came in second, third and fourth place respectively. The longtime public school administrator said he campaigned on issues he believes are important to everyone in Wisconsin, like healthcare, education and infrastructure. Evers, a member of the University of Wisconsin Board of Regents, also said the UW system should be detached from the state’s politics, citing the controversial free speech policy that threatens to expel or suspend students seen to disrupt free expression as an example. Meanwhile, Evers’ challenger Roys spoke about what she believed her campaign meant for Wisconsin’s youth, particularly young girls. On the other side of the aisle, Walker soundly defeated Robert Meyer, a publisher from Sun Prairie, and will run as the Republican nominee for his third term. Walker has focused his campaign on the state’s job growth, investments in education and tax cuts — all policy positions he heavily highlighted in a recent ad. And last year, Walker was involved in a deal with the Taiwanese electronics manufacturer Foxconn to build a large factory in the Racine County village of Mount Pleasant. The factory is estimated to bring up to 13,000 jobs to southwest Wisconsin. Going into November, national Democrats, who have high hopes in outing Walker, have framed the two-term governor as closely aligned with an increasingly unpopular and politically polarizing President Donald Trump. “While Walker has been in lock-step with Donald Trump, pushing an agenda to strip people’s access to health care and help wealthy corporations at the expense of the middle class, Wisconsin voters know that Democrats have their backs,” a statement from the Democratic National Committee said. In the U.S. Senate primary, Vukmir defeated businessman Kevin Nicholson to take on Baldwin, who is running for a second term. Vukmir secured an endorsement from the Republican Party of Wisconsin at their convention in May and from big names in the national party, including House Speaker Paul Ryan, R-Janesville, U.S. Rep. Jim Sensenbrenner, R-Menomenee Falls and former White House Chief of Staff and national party chair Reince Priebus. But Nicholson, who fashioned himself as a political outsider, outspent Vukmir by as much as $8 million, according to the Washington Post. However, in her victory statement, Vukmir said grassroots support matters more than big money when it comes to winning elections. In an unopposed race, current Lieutenant Governor Rebecca Kleefisch won the Republican nomination and will run for her third term against Milwaukee Democrat and community organizer Mandela Barnes, who beat out Democratic challenger Kurt Kober. And in Madison, Dane County Supervisor Sheila Stubbs won the Democratic primary for state Assembly district 77, a campus-area constituency currently held by outgoing state Rep. Terese Berceau. Tonight’s winners now advance to the general election, which is set for Nov. 6. In total, the November ballot puts the entire state Senate, half the state Assembly, the governorship, one U.S. Senate seat, and the entire U.S. House delegation up for grabs.